I was born in Barcelona, Catalunya, Spain. I have lived in USA and UK. Current living in Cowes, Isle of Wight. Married with 2 kids. I teach Primary. I Can tutor any level of spanish or catalan. 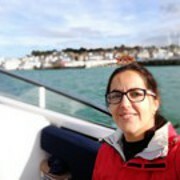 Was a privats tutor of English in Barcelona and Girona for 10 years. Have tutored adults and GCSE level of spanish in uk.